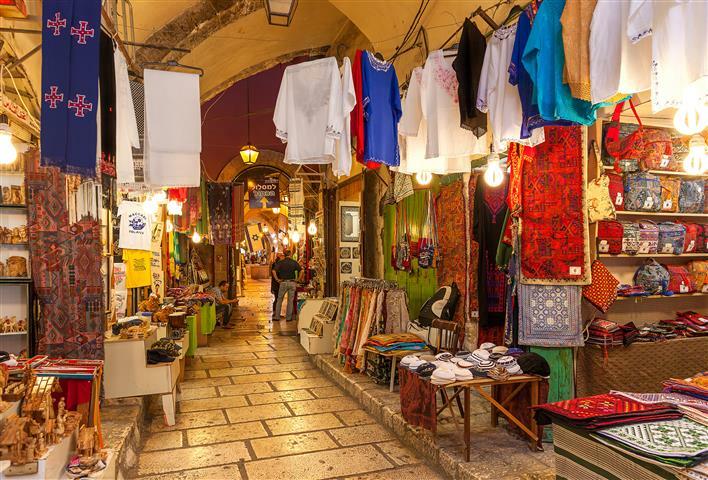 Start out from major hotels in Jerusalem or Tel Aviv. Pick up time for Jerusalem is 08:30 a.m., and for Tel Aviv at 07:15. 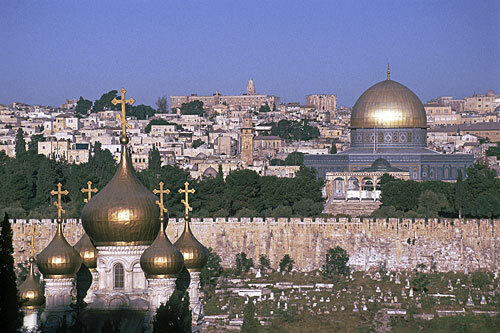 Drive to Jerusalem and start with a stop at the Mount of Olives, and tour the Church of the Ascension. Jesus is believed to have risen to heaven from the rock in the center of the rotunda. Jesus preached the Lord’s prayer at Pater Noster, which is a Crusader cloister. 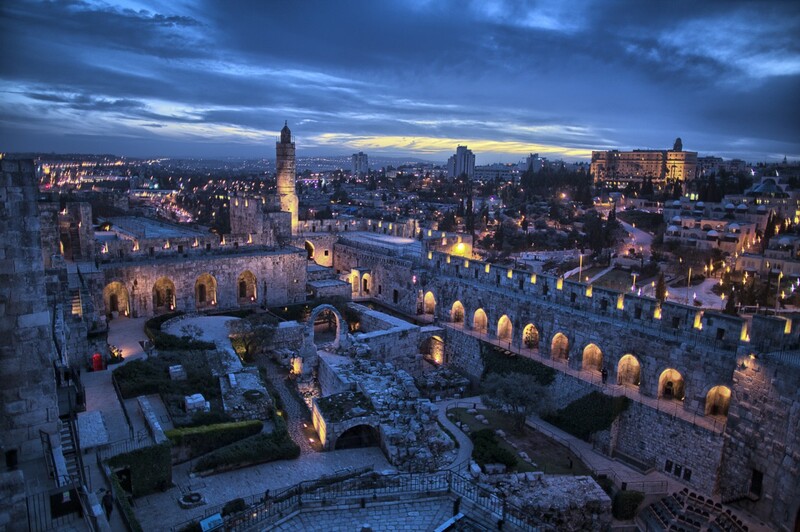 We will then stop for a beautiful view of Jerusalem. As we are walking down from the Mount of Olives we will stop halfway down at Dominus Flevit. 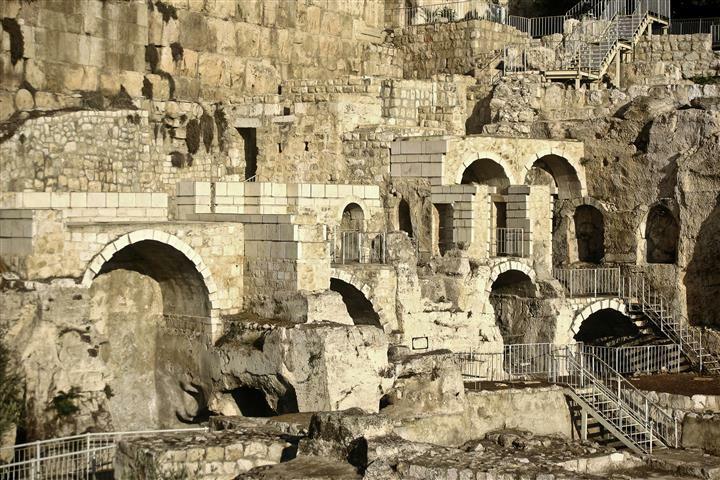 This is the site where Jesus cried as he foresaw the destruction of Jerusalem. 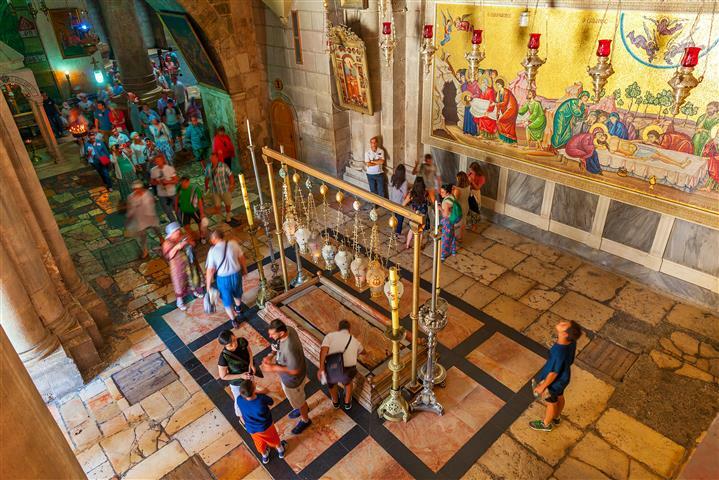 Tour the Church of All Nations that resides in the Garden of Gethsemane, as your guide reminds you about Jesus praying with the disciples until he was betrayed by Judas. 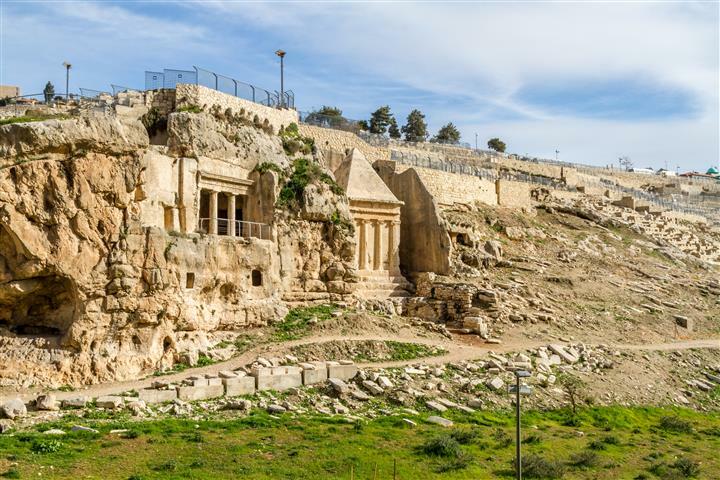 We will continue on by crossing the Kidron Valley, and enter the Lions gate of the Old City. Arrive at the pools of Bethesda, and at the Church of St. Anne, we will stop and listen to the acoustics in the Crusader church. 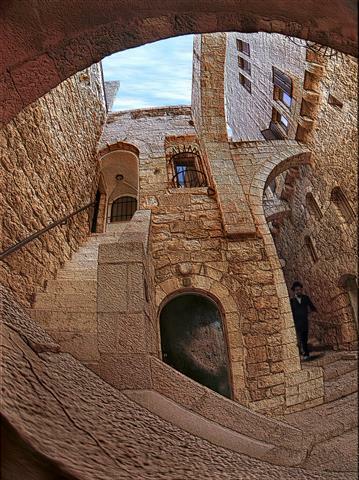 Enter the convent of the Sisters of Zion to see a water cistern from the Second Temple. There are beautiful engravings on the ancient street. Walk through the courtyard of the Praetorium where Pontius Pilate presided. After the tour we will take you back to your hotel. Dress is conservative, covered shoulders and knees. Entrance will not be admitted to Churches and holy places if not dressed accordingly.